Party themes can be hard to come by, especially when you feel like every single theme has been done and perfected. On the upside, the reason why these party ideas are so popular is because they simply work! 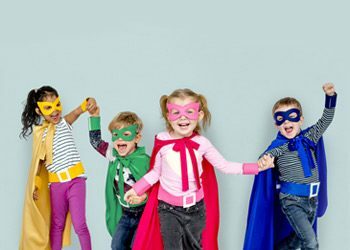 Even before superhero movies became all the rage, superhero-themed birthday parties have always been on a kid’s wishlist. Who doesn’t want to spend a day pretending they can shoot a laser out of their eyes? Not to mention how funny it is to hang around with your friends in swanky tights, capes, and robes. Decorating a superhero birthday party isn’t too much of a challenge either. You can base off your kid’s party from a famous superhero and just buy printed supplies (from plates to paper face masks) to really make your kid feel like they’re a candidate for world order restoration. Despite cool modern superheroes, are pirates still in? Yarrrr, you bet they are. 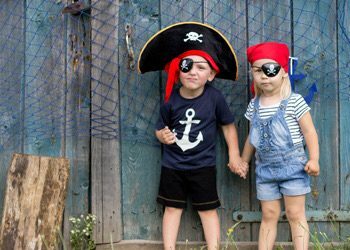 If you’re doing a pool party, a pirate-theme would definitely fit the bill. Buy some gold coins, look for some eye patches, maybe rent a talking parrot and you’re good to go! Want something more land-based? Set the kids out on a magical treasure hunt. Paint some flags with the pirate logo and let them run wild in your backyard. Don’t forget to accessorise with a cute pirate balloon to really tie things together. 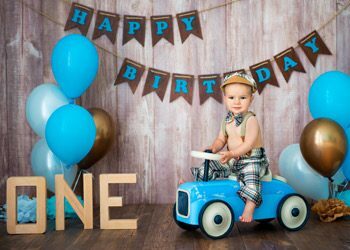 Kids need to blow a lot more birthday candles before they can drive one, and yet for some reason cars are among the most popular party themes! Something about the cool engine sounds and the shiny coating makes any kid want to be a racecar driver. Car birthday parties are certainly a hit. One thing you could do to make it more special is hook up a video game (or do it the old school way and take the gang to an arcade) and let them play racing games all day long. Put up a couple of these flag balloons around for some extra flair. Every kid has been afraid of a monster at one point. If you’re lucky, your kid has outgrown this fear and has decided that they’re actually pretty cool. Colourful scales, thick fur, sharp teeth, and just generally scary and cool stuff, monster party themes are great for any boy or girl. Not quite sure what kind of monster party you should throw? Pick something out of Halloween and make it less “trick or treat” and more “happy birthday to you”. Godmothers. Beasts and giants. Magic. Birthdays happen only once a year so you better make sure to make their dreams come true. Elaborate costumes? Check. Confetti bomb? Check. A wayward magician? Check. 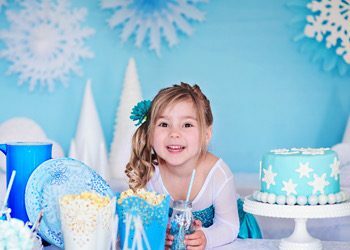 What’s not to love about a fairytale party theme? By space, we mean less of the scary kind in Alien and more of the friendly, travelling kind like E.T. 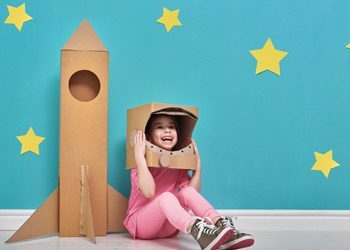 Make a space-themed birthday they won’t forget by designing an intergalactic photo wall. Simply put up a black cloth against a wall. Print out planets, string them together and hang. Or if you want something 3-dimensional, get foam balls and paint some planets on them. You can even buy or rent space costumes and accessories to really make your photo booth pop. 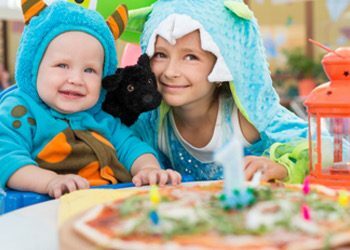 Circus party themes are exciting for parents and kids alike. Just think about it: butter popcorn, candy apple, and tons of fun stuff to do. 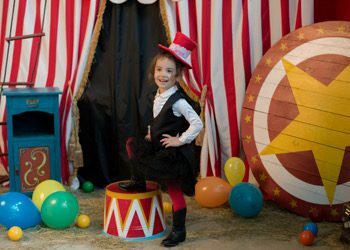 With a party theme like this, you’re going to need to hire performers that will wow and delight the little circus goers. Want to take your party to the next level? Plan 3-5 games guests can participate in, and give them a prize every time they win. It can be as simple as a cool foil balloon or as elaborate as a giant teddy bear. 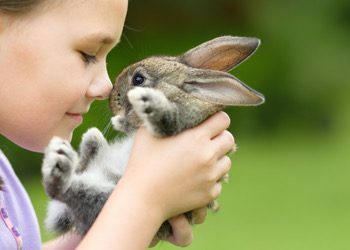 Petting zoos are the obvious answer to an animal-themed birthday. But if feeding llamas and bunnies are out of the question, just be creative with animal prints and you’ll have a distinctive animal party. What’s more, you can always give out balloon animals – that never gets old. Sports themes don’t have to be a nod at a specific team. It can be a general basketball, volleyball, or baseball-themed party with only themed party favours to complete the day. 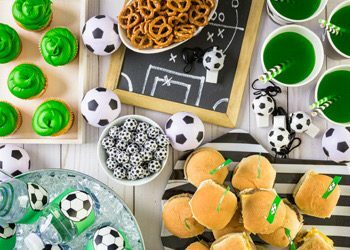 It wouldn’t make sense to host a sports-themed party without playing the sport itself (or at least, a really easy version of it for the kids) so be ready to do a few rounds and play referee. Princess birthday parties to girls are what superhero parties are to boys. All girls seem to want one at least once in their life – and for good measure. Little girls dream of becoming princesses someday, and no kid in her right mind would pass up the opportunity to wear a big gown. It’s one of those party themes that make the celebrant know that the birthday is her day. What Party Doesn’t Have Balloons? Shop from Specialty Balloon Printers’ online catalogue today! We have hundreds of accessories and balloon designs to choose from. We offer free shipping for orders over $50. 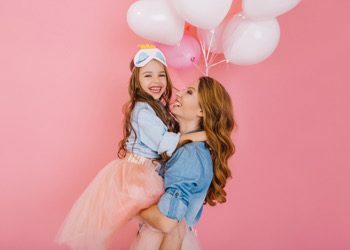 Pick out amazing birthday balloons today at Specialty Balloon Printers.